Everest Engineering Equipment has an exclusive dealership tie-up with established brands such as SYM, Finehope for tower cranes, GJJ for passenger & material hoists, and Chengdu Hi-tech for anti-collision devices used in tower cranes. It is also an importer and trader of engineering spare parts, and provides after-sales service/AMC support, and upgradation of existing conventional technologies with the latest technology to enhance power consumption and safety. "Everest started selling tower cranes in 2012 and has sold about 250 units in India, so far," said P. V Ramdev, MD, Everest Engineering Equipment Pvt Ltd. "We have supplied about 224 units to Shirke, mainly in the 6 and 12-ton categories, all within a span of three - four years. Many of them are rail travel type. We believe in offering solutions that will benefit users by increasing their productivity and reducing costs; for instance, with our close understanding of Shirke's project needs, application requirements, and planning, we provided solutions that will help them complete the project using 224 cranes, else they would have ended up using at least 500 cranes." According to him, pre-cast method of construction is coming to India in a big way. "The precast construction segment is huge and requires an expert understanding. 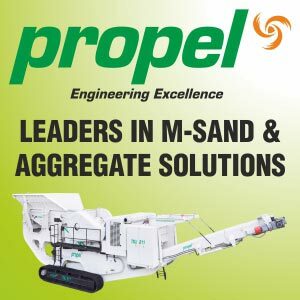 As this is a new, upcoming sector in India, most contractors do not have an in-depth knowledge of the technology and the machines to be used for precast jobs; they have limited know-how on what the tonnage should be, or the radius, where to place the machine, and how to do the finishing etc. We provide solutions as per the specific requirements of customers. My team of engineers visit the jobsites, check the drawings, and understand the requirements to deliver the desired solutions." In his view, customers in India are very price conscious. They do not realise that when the equipment breaks down, even for a day or two, hundreds of labourers sit idle, the cost of which is much more than the cost of a superior quality machine. "In European countries and in China also, people are doing micro level calculations on a machine before making a purchase decision. They will consider its type, and examine its history regarding speed, performance, and number of breakdowns etc. These buyers do not go by the price but take into account many parameters. Such a planned approach is gradually becoming visible in India also." Since Everest imports the cranes, their cost is higher by 8-9% due to the custom duty. The higher price is compensated by the superior quality and reliability of the products. According to Ramdev, the corporate buyers in India are more organised as they plan their procurement well before excavation has been done and at a micro level, unlike the small companies that have a last-minute approach and demand immediate delivery, plus a very low price. "But times are changing in India. People are planning well ahead and giving sufficient time for import. Normally, our cranes and hoists take 30-40 days for manufacture and 15 more days for shipping etc. So, customers are willing to wait for two months or so for the delivery." Elaborating on the tower crane business, he said, "Tower cranes have a wide scope for application, besides pre-cast construction in the real estate sector; they can be used in power plants, cement plants, refineries, hydro-power dams, metro stations, mines, steel plants, and for industrial applications in bridge pylons, chimneys etc. Everest is dealing largely with the higher tonnage cranes, and the 5-and 6-ton class also, which users find more viable, economically. These cranes are also more suitable for precast work as they need micro level operation and are required to move in various directions, sometimes by a few millimetres." Everest started supplying anti-collision systems in 2012 and has sold more than 250 in India, mainly to the corporate buyers. Ramdev said, "Collision of tower cranes is a common phenomenon in India; cranes collide with a tree, a structure or with another crane. Our proven anti-collision systems prevent such mishaps. The safe loading indicator (SLI) is also inbuilt in the anti-collision system." He informed that the systems can be fitted into the cranes of any type and model, including old cranes, and the company offers after-sales service. The radio-based system with a ground monitoring station is especially developed for Indian conditions and is economically priced. "We found that the systems from European brands and other countries did not work in India because of the harsher working environment here and the frequent power failures, so a specially designed system was made for the Indian market, and it has been working well for the last 4 years." Everest Engineering's passenger hoist business is also seeing an upward trend with demand coming from the booming construction sector, including rental companies. Everest started a rental division for its passenger hoist in 2017 and has already put up 10-12 hoists across India and is confident that the number will double in 2019. GJJ is the largest producer of passenger hoists in the world with 10 factories producing 5,000 units per year. According to Ramdev, for a product to do well, it should be manufactured as per the application requirement and under the guidance of an expert who understands the product thoroughly. There should be an R&D centre with design abilities, proper selection of materials, stringent quality control, and a network of sales and service team in place. The manufacturer's cost of production and the machine's sale price must also match for the business to be profitable. "A passenger hoist is not a standard product that can be fitted anywhere and in any way. To make it usable in a building, its design must be according to the building. GJJ hoists are designed to fit any building of any size or shape. In fact, the company has a very wide range and we are promoting all the models in India. We recently sold a hoist to IndiaBulls for a project of theirs with the Lodha Group. The height of the lift is 280 meters and it is running inside the lift shaft - a unique feature that nobody can offer, even in China. All the material and manpower can be lifted through this lift room hoist, which is mostly empty shaft till the building is completed. Since space is a constraint everywhere, we are seeing good demand for this product," he averred. The company provides parts supply, service etc to the imported machines through 44 service engineers working all over India. Service is provided to a customer within 24 hours and a ready stock is always available. "Moreover, we are getting spare parts locally from Siemens drive systems & PLC, Nord German mechanism and from many other reputed international brands, so spare parts are not a problem," informed Ramdev. Ramdev is optimistic of more business in 2019 post the elections, when the CE industry is expected to boom for the next 5 years, provided the current government comes back to power. In case of a coalition government, the speed of development may come down by 25%. "We expect to sell at least 100 units of passenger hoist in 2019 and maybe 50-60 units of tower cranes of 8-ton, 10-ton and above. The CE industry is maturing very fast and most companies are doing good sales, which will further increase in 2019," he said.